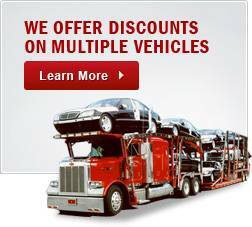 Looking to ship your car, truck, SUV, or van? 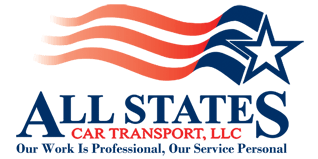 All States Car Transport is the trusted name in auto transport companies and pledges to treat every of our customers as a member of our family. We will do everything within our power to bring you the lowest price for shipping your vehicle, and with no hidden fees after the work is done. Our large team of auto transport specialists are equipped to manage every aspect of your transport service so you are stress-free knowing your car will arrive at its destination without any complications. At All States Car Transport is all about transparency and trust as our customers are not only our responsibility but our livelihood as well. Our brokers will go out of their way to ensure only the smoothest experience possible when it comes to shipping your car, truck, or SUV. • Weight: There are certain guidelines in regards to cargo such as not going over the specified weight for your vehicle which will cost more fuel. • Holidays: In some cases, drivers may be unavailable during holidays because of family obligations but again this varies. Do you need more information on auto transport for your vehicle to your home or office? We can have you posted quickly and will attempt to contact and follow up carriers for prices and rates. If you are looking to ship your vehicle, you’ve come to the right place. Call All States Car Transport today at 1-877-320-2758 for your free quote or click HERE to fill out a form. All States Car Transport - Free Auto Shipping Quotes	Overall rating:	4.7	out of 5 based on 9	reviews.